Vienna as a congress destination is booming. Last year, the metropolis achieved record figures for conference participants and added value. Around 631,000 participants (plus three percent) attended 4,685 congresses and company events (plus 15 percent), which resulted in 1,925,000 overnight stays (plus three percent). A single congress participant spends 541 euros per day. Vienna International Airport was able to handle 27 million passengers for the first time last year, a year-on-year increase of 10.8%. The top destinations were London, Moscow and Bangkok. 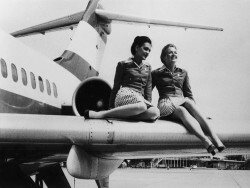 74 airlines serve 205 destinations in 71 countries. 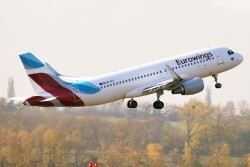 In the ranking of airlines as measured by their share of overall passenger volume, Austrian Airlines was followed by Eurowings (incl. 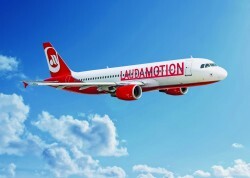 Germanwings), the easyJet Group, Lufthansa and Laudamotion. The increase in the number of passengers in 2019 is estimated at 10%. 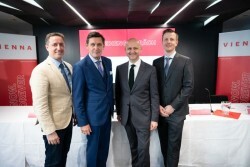 The Vienna meetings industry progresses from record to record. 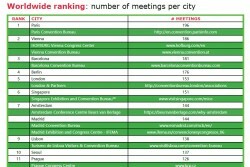 With 186 meetings, Vienna remains behind Paris with 196 meetings, number 2 in the Worldwide Ranking of the ICCA (International Congress and Convention Association). In the year prior to that, Vienna was still in fifth place. The proportion of congresses that can be allocated exclusively to the United Nations is enormous and accounts for around 7% of overnight stays. 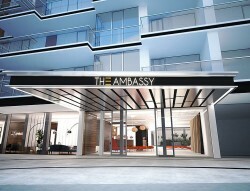 In Vienna's embassy district, surrounded by over thirty diplomatic missions, an interesting urban residential object is being created in three lifestyle categories, "The Ambassy Parkside Living". VIA Vienna International Airport/Flughafen Wien AG is declaring the following financial reports below. Flughafen Wien Aktiengesellschaft invites its shareholders to the 30th Annual General Meeting, which will be held on Wednesday, May 2, 2018 at 3 p.m. in Office Park 3, Object 682, Towerstrasse, A-1300 Wien-Flughafen. Flughafen Wien AG is declaring the following financial reports below. Vienna Airport continued along its success path in 2017 despite the challenges posed by the bankruptcy of airberlin. Following a third-quarter increase of 7.1%, we also expect earnings in the entire year 2017 to be significantly higher than in 2016. Important expansion projects are well on track. Extension work on the Air Cargo Center has been completed, good progress has been made on planning for Office Park 4, and a healthcare centre with a multifaceted offering is being created. REVENUE increase to EUR 160.6 million (+4.3%), EBITDA rise to EUR 60.7 million (+1.6%), EBIT improvement to EUR 26.0 million (+3.5%). - NET PROFIT FOR THE PERIOD*) increases significantly to EUR 15.9 million (+9.8%). We hereby invite our shareholders to the 29th Annual General Meeting of Flughafen Wien Aktiengesellschaft which will be held on Wednesday, May 31, 2017 at 10 a.m. in Office Park 3, (Object 682), Towerstrasse, A-1300 Wien-Flughafen (entrance next to the NH Hotel). 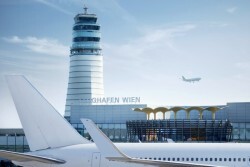 On Thursday evening, the lawyer representing Flughafen Wien AG was electronically notified - with respect to the legal proceedings initiated against the ruling by the court of first instance granting approval of construction of a third runway at Vienna Airport - of an adverse decision handed down by the Austrian Federal Administrative Court acting as the court of appeal on this project. From the point of view of Flughafen Wien AG, an initial cursory examination already leads to the conclusion that this adverse judgment on the part of the Federal Administrative Court is legally and objectively untenable and false. For this reason, the company will file an extraordinary appeal against this decision with the Austrian Supreme Administrative Court. Accordingly, Flughafen Wien AG will continue to vigorously pursue this project. Vienna Airport set three new records in the year 2016. In addition to the busiest day (September 16, 2016) and the best month ever (July 2016), Vienna Airport surpassed the threshold of 23 million passengers in 2016 for the first time in its history, handling 23.4 million passengers. 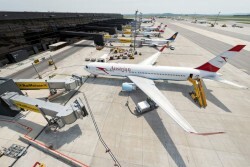 Due to the ruling made by the Financial Market Authority (FMA), against which Flughafen Wien AG (FWAG) is considering legal action, the stake held by FWAG in Malta International Airport and Malta Mediterranean Link Consortium Limited (MMLC) should have already been fully consolidated at an earlier point in time, namely back in 2006. In contrast, this shareholding was consolidated at equity in the consolidated financial statements of FWAG up until March 30, 2016. The Flughafen Wien Group is continuing its upward trend. All relevant financial performance indicators could be significantly improved in three economically strong quarters, featuring increases in revenue, EBITDA and the net profit for the period. Thanks to the consistent reduction of net debt, the 2016 target below the EUR 400 million mark has already been reached. The outlook is positive, and we expect to achieve our financial objectives for the entire year 2016. In the corportate news "Strong First Half-Year 2016 Leads to Significant Earnings Improvement for the Flughafen Wien Group" released today at 8.01 am (CET) a bulletpoint had to be corrected. The fifth bullet point should read: *Positive guidance confirmed for 2016: increase in the clean net profit for the period BEFORE non-controlling interests, i.e. adjusted for Malta revaluation, to EUR 115 million, reduction of net debt below EUR 400 million. An economically strong first half of 2016 resulted in a significant improvement of all relevant financial performance indicators for the Flughafen Wien Group, featuring increases in revenue and net profit for the period and a further reduction of net debt. Flughafen Wien AG AG hereby announces that at the end of the month June 2016 the number of voting rights amounts to a total of 84,000,000 voting rights. The stated capital is now EUR 152,670,00.00. The change of total voting rights is effective as of 27.06.2016. The 28th Annual General Meeting of Flughafen Wien AG held on May 31, 2016 approved the resolution to carry out a one-for-four stock split. As a result, shareholders receive three additional no-par value shares for each no-par value share that they possess. As a result, the total number of shares in Flughafen Wien AG increases to 84,000,000 from the previous level of 21,000,000 shares. The share capital remains unchanged, and continues to amount to EUR 152,670,000.00, and is now divided into 84,000,000 no-par value bearer shares, each with a proportionate amount of the share capital equivalent to EUR 1.8175. "The Flughafen Wien Group continued on its success path in the first quarter of 2016 thanks to a good business development, and supported by the required upward valuation of our stake in Malta Airport as a consequence of our increased shareholding. However, the serious crises unfortunately leave their mark on flight traffic, and enormously complicate the market environment for airlines and airports. We hereby invite our shareholders to the 28th Annual General Meeting of Flughafen Wien Aktiengesellschaft which will be held on Tuesday, May 31, 2016 at 10 a.m. in the Multiversum Schwechat, Möhringgasse 2-4, 2320 Schwechat. IFM would like to thank those investors who have already accepted its offer of EUR 100 per share and confirms that the offer will expire on Thursday, 28 April, at 1500 hours. IFM has explicitly excluded the increase of the offer price and will not extend the offer period. Flughafen Wien AG announces that today a request was submitted to add an additional item to the agenda of the upcoming Annual General Meeting scheduled for May 31, 2016. Flughafen Wien Aktiengesellschaft announces that the statements by the Management Board and the Supervisory Board of Flughafen Wien Aktiengesellschaft pursuant to section 14 of the Austrian Takeover Act (Übernahmegesetz - the "Act") and the expert assessment pursuant to section 14 (2) in conjunction with section 13 of the Act on the voluntary public takeover offer (sections 4 et seqq of the Act) made by AIRPORTS GROUP EUROPE S.À R.L. to the shareholders of Flughafen Wien Aktiengesellschaft on 31 March 2016 are available free of Charge at the corporate seat of Flughafen Wien Aktiengesellschaft. Airports Group Europe S.à r.l. ("Airports Group Europe"), an indirect subsidiary of IFM Global Infrastructure Fund ("IFM GIF"), has today, 1 April 2016, published a public voluntary offer pursuant to §§ 4 et seq of the Austrian Takeover Act (Übernahmegesetz) addressed to the shareholders of Flughafen Wien AG (ISIN AT0000911805). The offer aims at the increase of the minority stake by up to 10.0% for a price of EUR 100 per share. 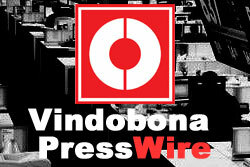 This corresponds to a premium of 20.9% compared to the closing price of the last trading day prior to the announcement of the intention to launch the offer (11 March 2016) and a premium of 24.2% compared to the volume weighted average price (VWAP) of the last month prior to the announcement. The offer can be accepted by interested shareholders until 28 April 2016, 3:00pm (Vienna time). Flughafen Wien AG hereby announces the fulfilment of the closing conditions and thus the legally valid closing of the share purchase agreement to acquire SNC- Lavalin Group Inc.'s indirect stake in MMLC Holdings Malta Limited (formerly, SNC-Lavalin (Malta) Limited, "SNCL Malta"). Today's meeting of the Supervisory Board of Flughafen Wien AG approved the planning budget for the ongoing terminal expansion and renovation concept valid until the year 2023. Flughafen Wien AG announces that it has been informed about IFM Global Infrastructure Fund's intention to make a public offer for an increase of 10 % to up to 39.9% in their stake of the share capital in Flughafen Wien AG today. The Flughafen Wien Group reported a substantial improvement in results against the backdrop of a challenging year characterized by crisis-related declines in traffic and strikes as well as passenger growth on long-haul routes, along with new airlines and destinations. In the 2015 financial year, revenue was up 3.8%, EBITDA climbed by 10.0%, the net profit for the period rose 21.8% and net debt was reduced to EUR 466.0 million. A dividend of EUR 2.00 per share will be proposed for 2015 to the Annual General Meeting, a rise of 21.2% from the prior- year dividend. Flughafen Wien AG hereby announces the signing of a share purchase agreement to acquire SNC-Lavalin Group Inc.'s indirect stake in SNC-Lavalin (Malta) Limited ("SNCL Malta"), subject to the fulfilling of certain closing conditions by both parties. SNCL Malta has a 38.75% interest in Malta Mediterranean Link Consortium Limited ("MMLC") which in turn has a 40% interest in Malta International Airport plc ("Malta Airport"). 2015 was a record year for Vienna Airport. 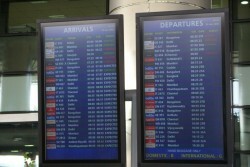 The 4-Star airport handled 22.8 million passengers in spite of the crisis- and strike-related challenges. This corresponds to a year-on-year rise in passenger volume of 1.3%. 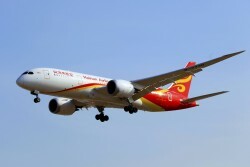 The growth drivers were primarily new long-haul routes, new destinations and frequency increases. The outlook for 2016 remains optimistic. Flughafen Wien AG expects passenger growth in the range of 0% and 2% as well as an increase in its revenue, EBITDA and net profit. 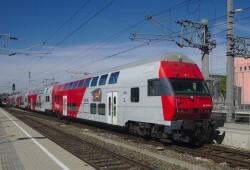 With the timetable change on 13 December 2015, Vienna Central Station and Vienna Meidling train station will be assuming their full role as a regional transportation hub. Bringing together the Western, Southern, Eastern and Northern Routes at Vienna Central Station and Vienna Meidling, creates a transportation hub with direct connection to all Austrian state capitals as well as Vienna Airport. For travelers this means better connections, shorter travel times and more comfortable traveling. The Flughafen Wien Group reported a good traffic and business development in the first nine months of 2015, featuring a substantial improvement in revenue and earnings. Revenue was up 3.8% to EUR 495.1 million, EBITDA increased 8.8% to EUR 218.6 million, EBIT climbed 11.7% to EUR 118.2 million and the net profit for the period rose 11.9% to EUR 84.4 million.